I use the title of the form so I know what the form is. I don't want the public to see this yet it seems impossible to delete? The title on your Form Builder automatically uses that same title on you form and will display it accordingly. As I checked, there's no way to hide it but you can change the title if necessary. 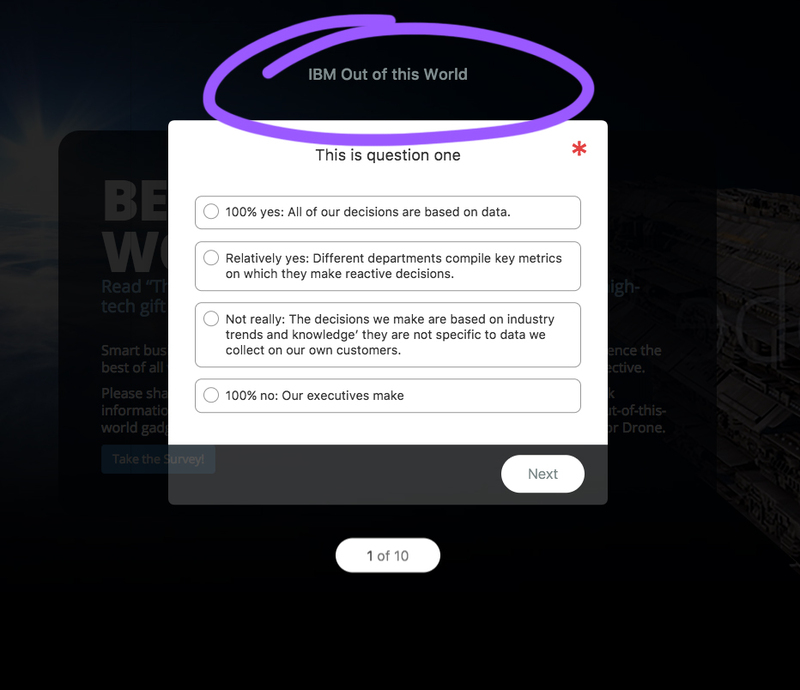 If you don't want your users to see the IBM Out of this World title, would it work if you rephrase it to something else? Please keep in mind, setting it with a blank/empty title won't work and it will always use the last non-empty title you have set.